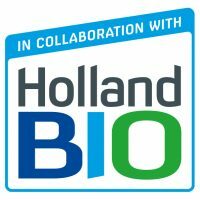 Improving the path from bench to bedside is the main goal of HollandBIO’s Faster, Better! Programme. This seminar covers an important aspect of the programme: providing patients timely access to new medicinal products. Next to PRIME (Priority Medicines) – alternative routes to the market do exist, such as named patient programmes, compassionate use and conditional marketing authorisations. Which early access tools suit your product best? Are new concepts such as adaptive pathways the way forward? Obtaining early access to the market is one thing. However, reimbursement is vital to provide effective access for patients. An early dialogue with the stakeholders is crucial. This seminar, which is organised in collaboration with HollandBIO, will provide a clear overview of alternative routes to the market. The speakers will elaborate on the opportunities and drawbacks. After the presentations, a panel of André Broekmans (Lygature), Tom Denee (Manager Market Access), Bart van der Lelie (Lysiac), Anke Hövels (University of Utrecht), and Ingmar de Gooijer (My Tomorrows) will share their specific viewpoints and discuss with the attendees. Do share your suggestions for a seminar topic with us by filling out the form below.